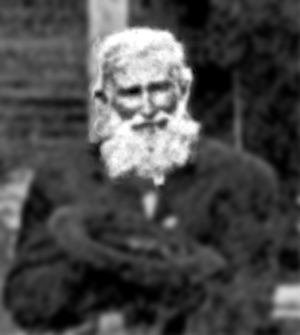 Thomas Allen Davis was born about 1807 somewhere in Georgia and died about 1870 in Geneva County, Alabama. Dates for birth and death are estimated. He lived to be about 63 years old. He left Decatur Co. GA around 1838-1839 and purchased his brother Hugh's farm in Dale Co. AL when Hugh moved to FL. He also served as a Private in the Choctawhatchie Rangers (1/15/1863). Thomas Allen purchases 10 bushels of corn at a public sale of the property of John Bell, deceased. He pays $2 per bushel for a total of $20.00. page 6, line #11: Joseph Davis family consists of: one male (15-19), one male (20-29), one male (50-59); one female (10-14), one female (20-29), and one female (50-59). 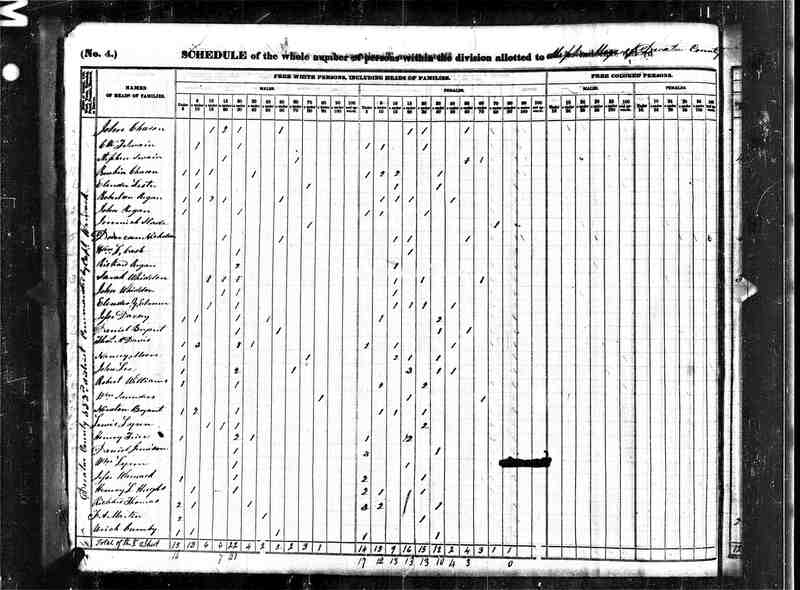 son, Jesse H., is listed on the next census page. page 12 , line 18 - Hugh Davis. Additional information about Decatur County, GA around 1830: Decatur County is officially created in 1823 from new lands and portions of Early County. Of interest, Hernando Desoto traveled through this area in 1540 following the Capachequi River (now called the Flint River). Later, this county is divided to form Grady, Seminole and Thomas counties. 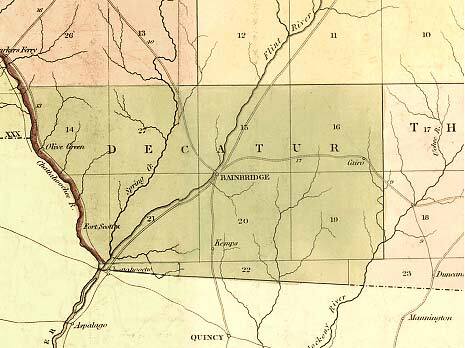 This map of Decatur County, GA was created around 1830. Click here to see a map from this timeperiod. The estate of Joshua Cravey, deceased, is being administrated by James Hagan, Mathew Long, and Thomas B. Davis. James certifies that $3,000 will be paid. All three sign. The family of Thos A. Davis is described on page 4, line #17 as: MALES: one under the age of 5, three between 5-10 years old, one between 20-30, and one between 30-40. FEMALES: two under 5 years old, one between 10-15, and one between 40-50. There are a total of 9 people living in the home and they own no slaves. 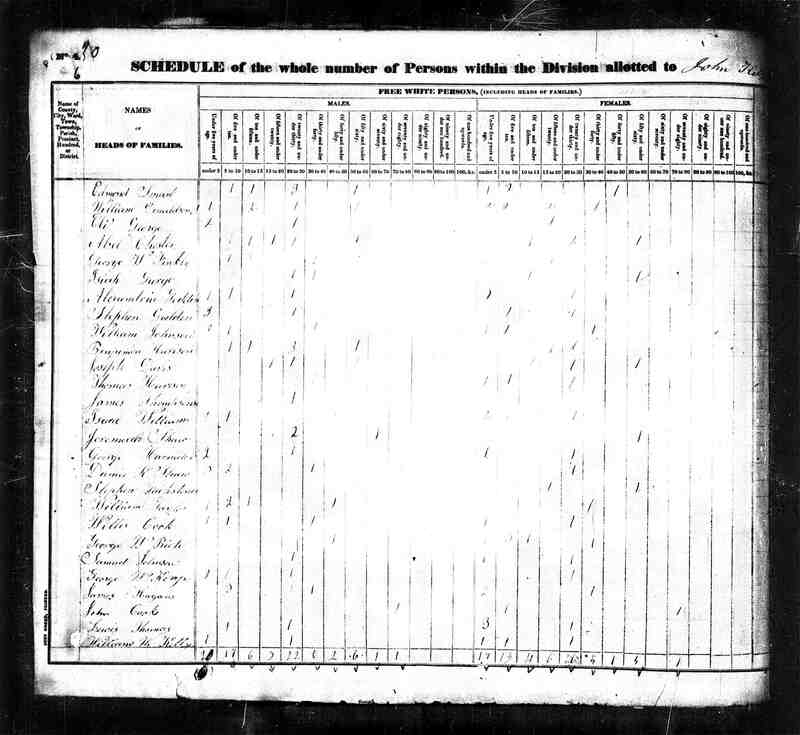 His brothers, L. C. and Jonas B., are listed on page 7 of the census with their families. Additional information about Decatur County, GA around 1840: Map of Decatur County, GA created around 1839 -- one year before the 1840 Census. Click here to see a map from this timeperiod. Recorded as family #140: Thomas A. Davis (age 44, born in GA), Jersey (age 46, born in GA), James M. (age 19, born in GA), Woody R. (age 17, born in GA), John L. B. (age 15, born in GA), Bethia A. (age 13, GA), Thomas A. (age 12, GA), Anna J. (10, GA), Joseph E. (7, AL), Rhoda E. (5, AL), Sinena E. (3, AL), Jersey (2, AL). Thomas states his occupation as farmer and estimates the value of his estate to be $100. The three oldest sons also state they are farmers. All of the children age 10 and older attended schools in the last year. Thomas and Tensey cannot read or write. Recorded as family #1673: Thomas A. Davis (age 53, born in GA), Tiercy (age 48, born in GA), Joseph E. (age 18, born in AL), Anne J. (age 20, born in GA), Rhoda E. (age 16, born in AL), Sarena E. (age 14, born in AL), Tiercy (age 12, born in AL). Thomas states he is a farmer and estimates the value of his real estate at $1, 500 and person estate at $1, 290. All of the children attended school during the last year and neither Thomas nor his wife can read or write. The family of J. B. L. Davis is listed next. Family #422, list Thomas 63, Tearsey 68, Anna J. 30, Elizabeth 22, Tearsey 21. Thomas is a Farmer. Thomas, Ann & Tearsey are born in Georgia, Elizabeth & Tearsey are born in Alabama. Tearsey is Keeping house and the girls are listed (at home). Land value $1400 and Personal value $1275. David Bird 12, and Madison Bowlin 18 are listed as Farm labors. Click on any of the News, Events, or Discoveries buttons above to see historical things that happened during Thomas Davis's life. These are only some of the major events that affected the life and times of Thomas, his family, and friends. For example, Thomas is 4 years old when By 1811 the new "Federal Road" (which started as a horse path) is filled with a steady flow of white settlers into Creek Indian Territories. The Spanish begin to fan hostile sentiments among the Indians. 4 1811 Tecumseh visits the Creek Indians living in what will become Georgia and Alabama to try to persuade them to join his fight against the flood of white settlers. Some towns join forces with Tecumseh and become known as "Red Sticks". 5 1812 The Creek tribes in southern Alabama and Georgia find themselves under increasing pressure from white settlers. Led by Chief Weatherford, they accepted an alliance with Tecumseh and are nicknamed "Red Sticks". 6 1813 Two battles begin the Creek Indian War: (1) Fort Mims Massacre - Fort Mims is attacked on August 13 by the Red Sticks while the inhabitants are eating their noon meal. The massacre brings an immediate response from the whites and soldiers are recruited from Tennessee, Georgia and other territories, and (2) The Battle of Holy Ground on December 1813. 6 1813 During 1813-14, Muskogee-speaking Creeks leave AL and move into areas in Northern FL in response to the Creek Civil War (also known as the Red-sticks War). 7 1814 The Treaty of Fort Jackson is finalized on August 9, 1814. William Weatherford (Red Eagle) surrenders to Gen. Andrew Jackson and cede their lands to the federal government. This opens approximately half of present-day AL to white settlement. 7 1814 Battle at Horseshoe Bend on March 27, leaves the Creek Red Sticks scattered and unorganized. Those that survive the battle flee south into northern Florida and band together as the Seminoles. Red Eagle (Billy Weatherford) surrenders to General Andrew Jackson at Fort Jackson later in the year. 10 1817 Alabama Territory is created when Congress passes an act to divide the Mississippi Territory and admit it into the union as a state. Alabama will remain a territory for two more years. 28 1835 Alabama gold rush begins in the east-centrl hill country. 30 1837 The Second Creek war begins in 1836. In 1837 The Battle of Hobdy's Bridge becomes the last indian battle in AL. 33 1840 Alabama reports a total population of 590,756 on the 1940 Federal Census. This includes 335,185 whites, 255,571 blacks, 253,532 slaves, zero Native Americans, and others. 43 1850 State population=771,623. The 1850 Federal Census reveals the White population=426,514; African-American population=345,109; Slave population=342,844; Free black population=2,265; Urban population=35,179; Rural population=736,444; Cotton production in bales=564,429; Corn production in bushels=28,754,048; Number of manufacturing establishments=1,026. 1 1808 Pulaski County created. 2 1809 Twiggs County formed. 4 1811 Madison County created. 5 1812 Emanual County formed. 6 1813 During 1813-14, Muskogee-speaking Creeks leave GA and move into areas in Northern FL in response to the Creek Civil War (also known as the Red-sticks War). 10 1817 First Seminole war begins as Georgia backwoodsmen attack Indians just north of the Florida border. !817-1818. General Andrew Jackson invades the area. 12 1819 Rabun County formed. 13 1820 December 20 - Campbell and Randolph Counties formed. 14 1821 May 15 - Dooly, Fayette, Henry, Houston, Monroe and Newton Counties formed. 15 1822 December 9 - Bibb, Dekalb and Pike Counties formed. 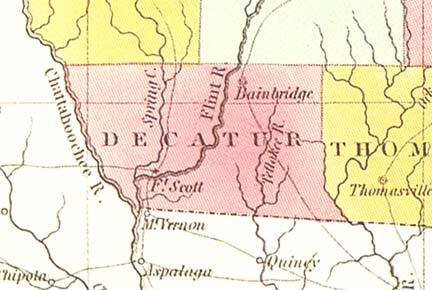 16 1823 December 8 - Decatur County formed. 17 1824 December 15 - Upson and Ware Counties formed. 18 1825 Baker, Lowndes, Thomas, Butts and Taliaferro Counties formed. 19 1826 January 24 - Treaty of Washington abrogates Treaty of Indian Springs. The Creeks cede a smaller area and are allowed to remain on their lands until January 1, 1826. 20 1827 December 14, - Harris, Marion, Meriwether and Talbot. 23 1830 Cherokee, Heard, and Stewrt Counties are formed. 24 1831 Sumter County is formed. 25 1832 December 3 - Bartow, Cobb, Crawford, Floyd, Forsyth, Gilmer, Lumpkin, Murray, Paulding, and Union Counties formed. 26 1833 Walker County is formed. 29 1836 Seminoles massacre Major Francis L. Dade and his 103 man command. This starts the second Seminole War. February - Battle of Hitchity. March 27 - Colonel J.W. Fannin and his Georgian's executed by order of Santa Ana at Goliad on Palm Sunday. July - Battle of Brushy Creek. July 3 - Battle of Chickasawachee Swamp. July 27 - Battle of Echowanochaway Creek. 30 1837 Mcon and Dade Counties are formed. 43 1850 Gordon and Clinch Counties are formed. 44 1851 Clay, Howell, Polk, Spalding, and Whitfield Counties are formed. 45 1852 Taylor County formed. 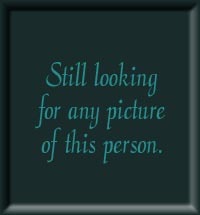 46 1853 Catoosa, Pickens, Hart, Dougherty, Webster, Flton, and Worth Counties aare creaated. 47 1854 Fannin, Coffee, Chattahooche, Charlton, and Calhoun Counties formed. 49 1856 Haralson, Terrell, Berrien, Colquit, Miller, and Towns Counties formed. 50 1857 Dawson, Milton, Pierce, Glascock, Mitchell, Schley, White, and Wilcox Counties formed. 51 1858 Clayton, Quitman, Banks, Brooks, Johnson, and Echols Counties formed. 63 1870 Douglas, McDuffie, Rockdale, and Dodge Counties formed. 32 1839 Goodyear invents vulcanized rubber, opening the door for tires and other rubber products. 46 1853 The process of creating steel is invented by Besermer in Britain and Kelly in the U.S.
52 1859 Charles Darwin publishes "Origin of Species" and begins the evolution theory. 58 1865 Mendel publishes his papers on genetics and introduces the concept to the public. 4 1811 NEWS HEADLINES: Tecumseh's emerging Indian Confederacy is defeated at the Battle of Tippecanoe in Ohio. Afterwards, Tecumseh and his brother travel from their Shawnee homes in the north to recruit and unify the southern Indians. 5 1812 NEWS HEADLINES: War of 1812 begins and will continue for until 1814. Some call it the Second War of Independence because the US fights Great Britain to a stalemate, Americas independence was assured. 21 1828 Gold is discovered in Georgia. 54 1861 NEWS HEADLINES: American Civil war begins at Ft. Sumter, located in Charleston Harbor, VA.
55 1862 NEWS HEADLINES: May 20, 1862 the US government passes the Homestead Act to provide cheap land for settlement of lower Southeast and West. 4 1811 By 1811 the new "Federal Road" (which started as a horse path) is filled with a steady flow of white settlers into Creek Indian Territories. The Spanish begin to fan hostile sentiments among the Indians. 13 1820 The Act of April 24, 1820 abolished the land purchase credit system, fixed the price of public lands at $1.25 per acre, and set the minimum purchase at 80 acres. After a person purchased land, a final certificate was issued by the land office and sent to Washington DC to be verified and signed by the President -- a time consuming process. Public lands were most typically available through US treaties with Indians who agreed to be removed from their homelands. 23 1830 Indian Removal Act signed and the moving of eastern Indians west of the Mississippi begins. 28 1835 Second Seminole Indian War begins. 30 1837 The trickery used to capture Seminole Indian Chief Osceola (Assi Yohola) creates a public uproar and U.S. General Jesup is publicly condemned. 35 1842 Second Seminole Indian War ends and thousands of Seminole Indians are forced to move west of the Mississippi. 48 1855 Third Seminole Indian War begins. It ends three years later when Chief Billy Bowlegs and his band are forced to move from Florida. 53 1860 Presidential election puts Abraham Lincoln in office. The campaign has heated the issues regarding slavery in the south. 55 1862 May 20, 1862 the US government passes the Homestead Act to provide cheap land for settlement of lower Southeast and West. 56 1863 Abraham Lincoln issues the "Emancipation Proclamation" freeing slaves. 58 1865 American Civil war ends with General Lee's surrender at Appomattox, VA. Reconstruction begins in the "old South"
61 1868 An eight-hour work day is established for federal employees. 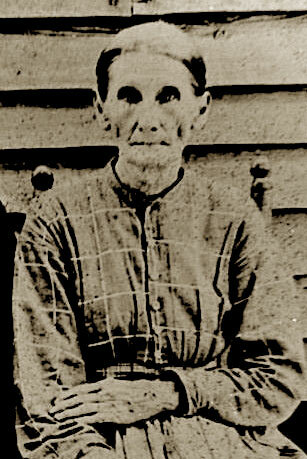 Born somewhere in Georgia on January 28, 1828 and died in Geneva County, Alabama on August 27, 1908. She was 80 years old. Born in Whigham, Georgia on July 18, 1831 and died in Geneva County, Alabama on December 28, 1918. He was 87 years old. Born somewhere in Georgia about 1834 and died in Dale Co., Alabama about 1910. He was about 76 years old. Born somewhere in Georgia about 1835 and died in an unknown location about 1910. He was about 75 years old. Born somewhere in Georgia about 1836 and died in Dale Co., Alabama about 1925. She was about 89 years old. Born in Decatur, Georgia about 1838 and died in Knoxville, Tennessee on July 24, 1863. He was about 25 years old. Born somewhere in Georgia about 1840 and died in Dale Co., Alabama about 1870. She was about 30 years old. Born in Dale Co., Alabama about 1842 and died in Dale Co., Alabama about 1895. He was about 53 years old. Born somewhere in Alabama on March 14, 1844 and died in an unknown location about 1925. She was about 80 years old. Born somewhere in Alabama about 1847 and died in Geneva Co., Alabama about 1920. She was about 73 years old. Born in Dale Co., Alabama about 1848 and died in Geneva Co., Alabama about 1885. She was about 37 years old.